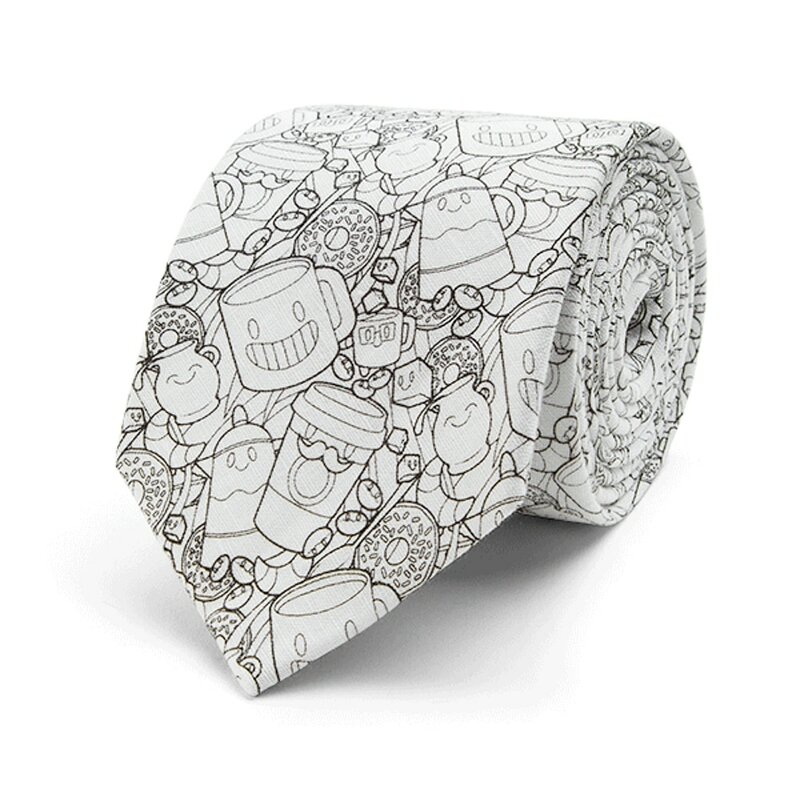 Color in your perfect neck-wear with the Coffee & Donuts DIY Coloring Book Tie. Get those creativity wheels turning for you to unleash on the world. The only thing we don't encourage is spilling actual coffee on it. Save the impressionist art for another day.